West Iceland is sometimes criminally overlooked by visitors as they head to the North and then hurry back to Reykjavik in the South. This is a shame as the area is rich in culture, history and wildlife. The landscape rivals that of anywhere in Iceland, and is dominated by the majestic Snæfelsjökull. 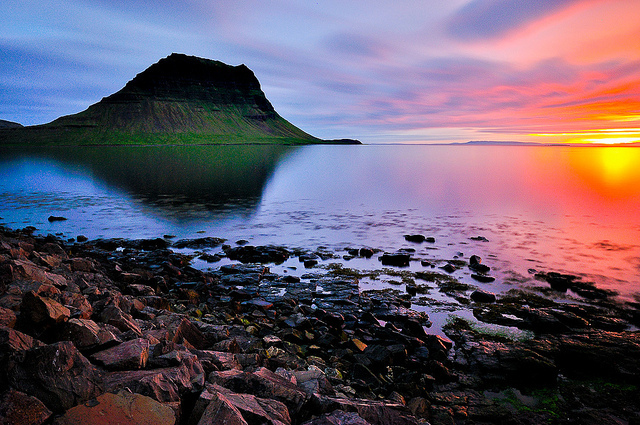 West Iceland is a world where culture, nature and history complement each other perfectly. This vast area consists of fjords, valleys, craters, glaciers and volcanoes. One big advantage of this area is its proximity to Reykjavik. There are fabulous hiking opportunities to be found around Akranes and Hvalfjörður which is home to Glymur, the highest waterfall in Iceland. All of this is less than an hour from Reykjavík. The famous medieval poet Snorri Sturlason has his origins in the area, and you can learn more about him at Snorrastofa, a museum and learning centre situated at his former homestead in Reykholt. You can even see the man-made geothermal bath where he no doubt composed many of his famous verses. The settlement centre in the nearby pretty town of Borgarnes provides a fascinating account of the early years of Icelandic society. The undoubted highlight of the area has to be the Snæfellsness peninsula. Home to the Snæfellsjökull national park, it is dominated by the huge glacier that shares its name. 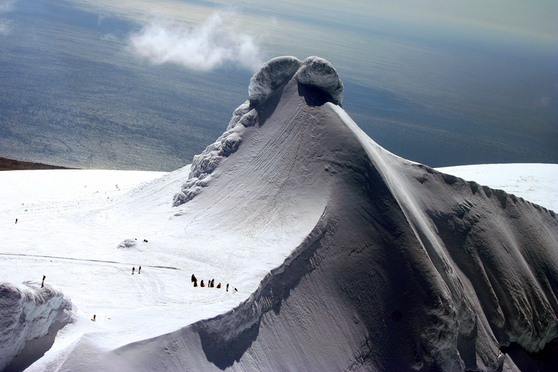 The volcano that sits beneath the glacier provided the inspiration for Jules Verne´s Journey to the Centre of the Earth. The coastline has been shaped by the volcano´s numerous eruptions over the years, giving rise to strange rock formations that are found nowhere else in Iceland. There are lots of pretty little fishing towns spread out across the peninsula, Stykkisholmur being among the most charming of them. As well as boasting a beautiful old harbour there are some fabulous restaurants and a volcano museum. From Stykkisholmur you can cross over to Dalir and visit Eirikstaðir , home of the great explorers Eirík the Red and his son, Leif the Lucky, the first European to set foot in America. These are only a few examples of the interesting sites that can be found all over West Iceland. The short distances between these sites make it possible to enjoy the area at a leisurely pace all year round. So next time you find yourself travelling to or from the North, find the time to take in the sights of West Iceland. We think you´ll love it.